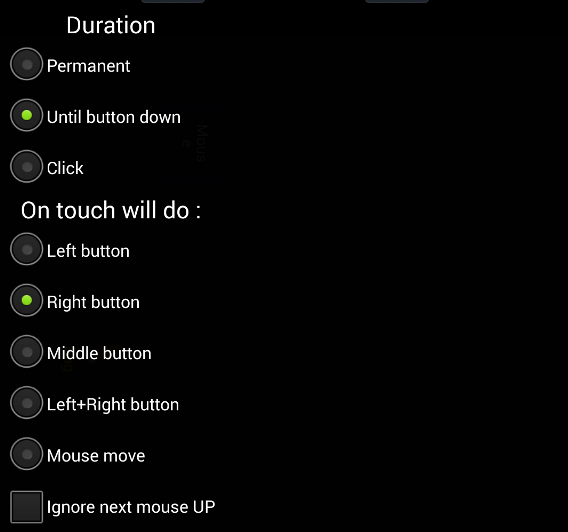 This widgets helps you to manipulate with touch mouse. It is designed to work with absolute or relative mouse. You have absolute mouse enabled when you start adventure for the first time. It sends left mouse event. 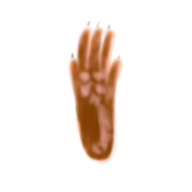 But other events like right mouse click or middle can be set too. You can set its duration and action in settings. Duration means how long will be mouse action changed. Click – Holding the widget sends mouse down. When you remove finger from widget, than is send mouse up. It is useful for relative mouse. move for permanent and UBD duration, or (By system) for click duration. By system means default action or action changed with permanent duration.